Let’s ride on a bike to explore Higashiyama, the most popular area among Kyoto, where many famous temples and shrines concentrated in. This area is well-known about its jam-up, since thousands of tourists visit at all times of the year. Resulted in overcrowded buses and even if you are luckily get in, the bus may not move forward. There are so many bus services provided by several companies which makes you confused. Yet people surround you maybe also tourists like you who know little about the area. Let’s not waste your time reading maps, waiting for buses, and traffic jams. 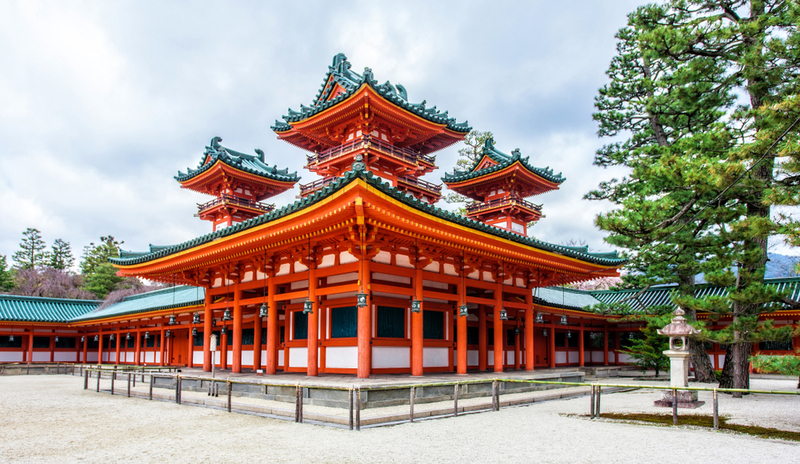 After we leave Kyoto station, we will guide you several places: Kyoto Gyoen National Garden, Shimogamo jinja, Ginkakuji temple, Tetsugaku-no-michi Street (the philosophers' path), Eikando, and Nanzenji temple. We continue pedaling to Gion area then the most busiest area of Kyoto, Sanjyo and Shijyo-kawaramachi. 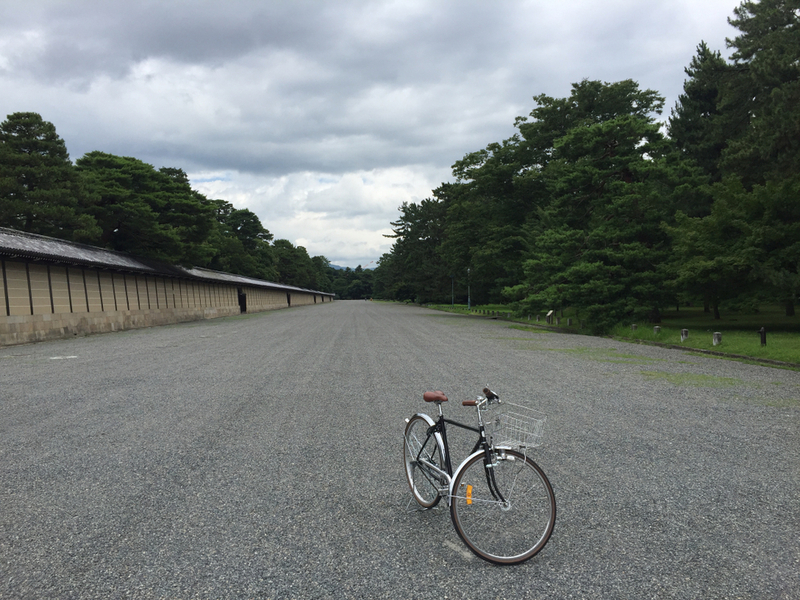 You can either drop the bike at the place where the tour ends or keep pedaling until Kyoto station. ★You can find this tour also on TripAdvisor and Viator! - Cross the must-visit Higashiyama site in Kyoto. Ride on about 20 minutes inside Kyotogosho then arrive the Shimogamo jinja. The Shimogamo jinja, formal name is the Kamomioya jinja, one of the most oldest shrines in Kyoto, registered in the world heritage out of 17 Historic Monuments of Ancient Kyoto. The history of the shrine can go back to B.C. 90 as a legend tells that ritual events has taken place before the introduction of Buddhism into Japan. 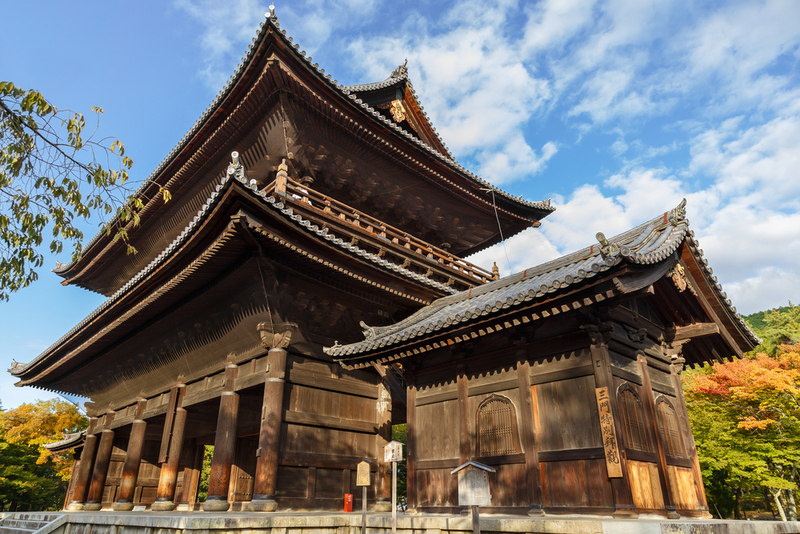 It is the one of the few prestigious shrines which allow to practice Shikinen Sengu, the system of reconstruction, all shrines in the Shimogamo complex are meant to be rebuilt every 21 years. However, the building is no longer able to be destroyed once registered in the world heritage, but able to be renovated partially every 21 years. The present buildings was renovated in 2015; for such occasions, we can see it in good condition. The temple surrounded by huge primordial woods where is believed longmai running (feng shui) and it illuminates the spot as the power spot (places with full of spiritual energy). Also the temple is known as the gods of the beauty that calls for female visitors. The source comes from Tamayorihime-no-mikoto, a woman of great beauty, is enshrined in the main sanctuary of the shrine. You can recharge by visiting the temple, the leading spiritual temple with full of spiritual energy. 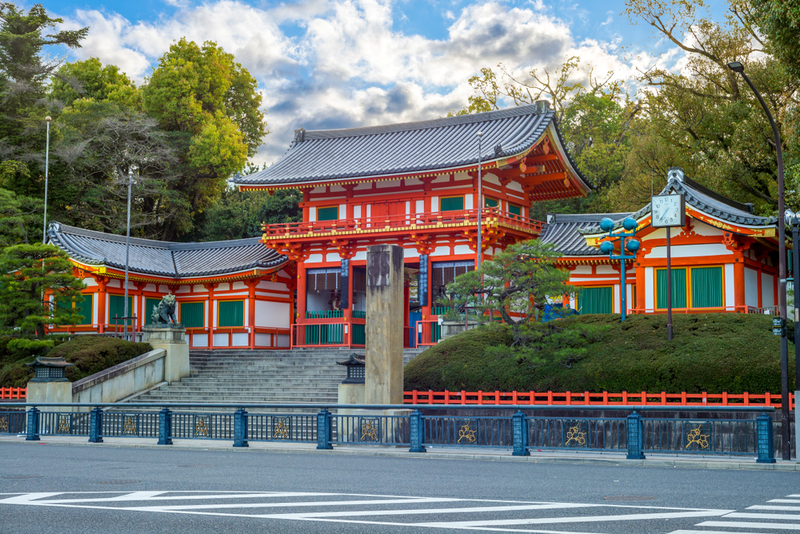 After we visit the Shimogamo jinjya, cross the Kamogawa river and go to the Ginkakuji temple. 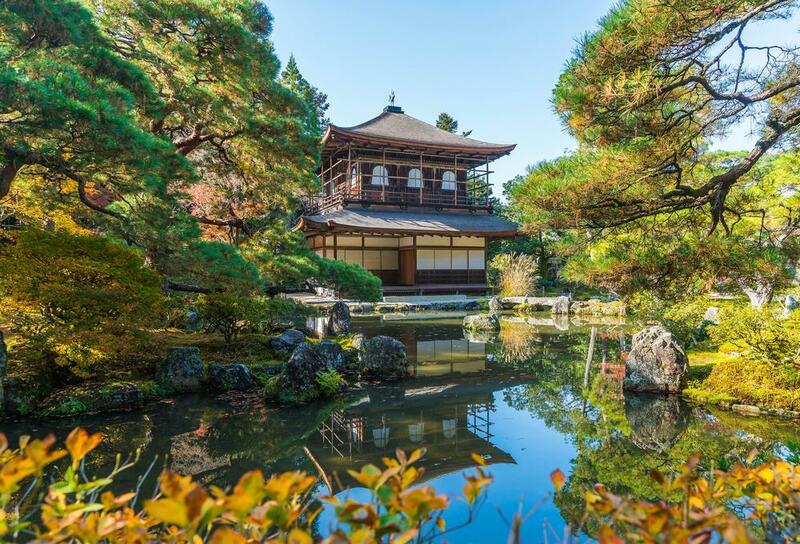 A formal name of the Ginkakuji temple is Jihoji temple and one of the historic monuments registered in the world heritage. 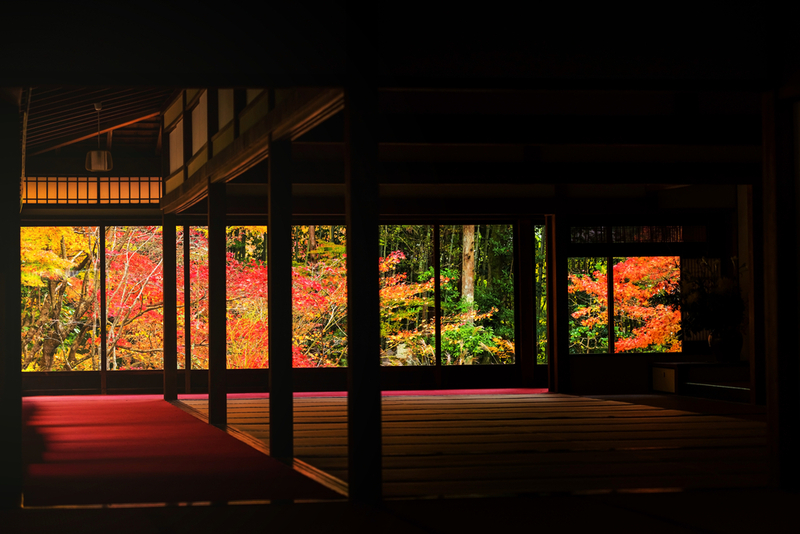 The temple is often considered as a counterpart of Kinkakuji temple, formal name is Rokuonji temple, located in the western area of Kyoto. 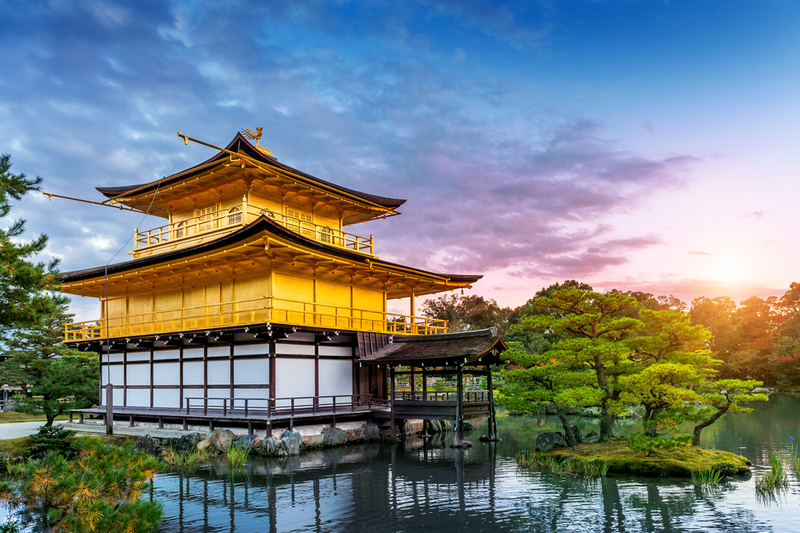 Both of the Kinkakuji and the Ginkakuji are constructed in 15th century by shoguns’ orders on the purpose of their second houses. 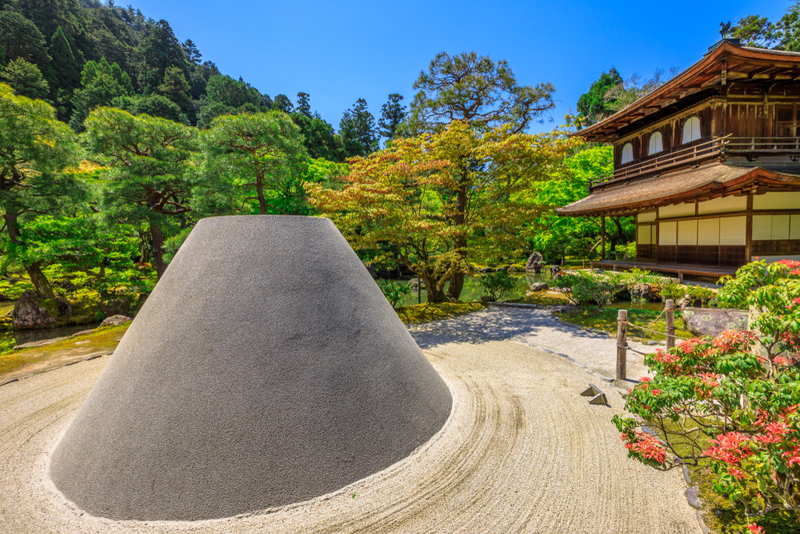 As contrasted with the Kinkakuji covered by kinpaku (gold leaf) as its name indicated, Ginkakuji has calm atmosphere that reminds Wabisabi (Japanese traditional kind of beauty, leaving space intentionally for interpretation by a viewer). The Kinkakuji rebuilt recently as it is burnt out in 1950 due to a fire-setting whereas the Ginkakuji retains the atmosphere of the era when it was built and surrounded by beautiful garden on a slope which harmonized well with the dark wooden walls. You will get into the sprit of the landscape that heals the Shoguns’ anxiety. After a walk to Ginkakuji temple, we will have lunch in a 50-year-old restaurant at the entrance of the Tetsugaku-no-michi Street. 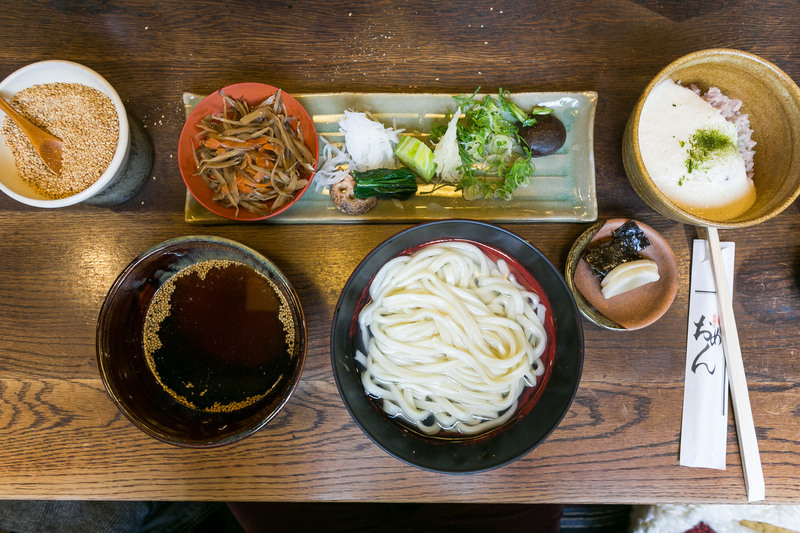 Hope you enjoy a dish of Udon (Japanese thick noodle) with seasonal ingredients in the good old Japanese style. 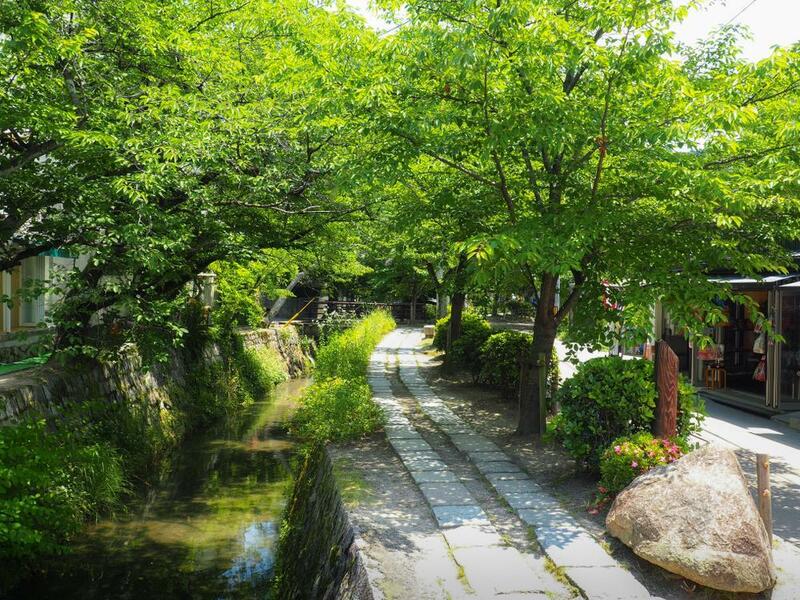 After lunch, we recommend you to stroll the Tetsugaku-no-michi Street (the Philosophers' path). 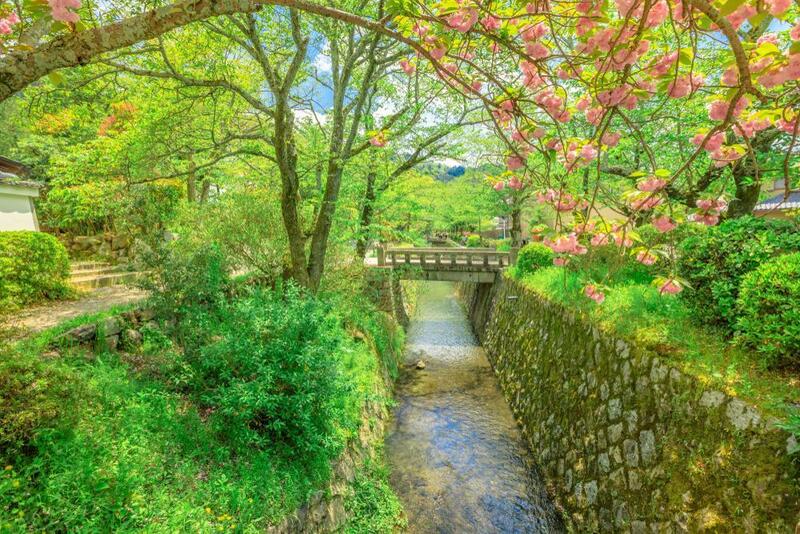 From the Ginkakuji temple access lane to the Kumano-Nyakuouji-jinja shrine located just before the Eikando temple, you will find a path along the river that rises at Lake Biwa, a walk of about 1.5 km that we call the Tetsugaku-no-michi Street. 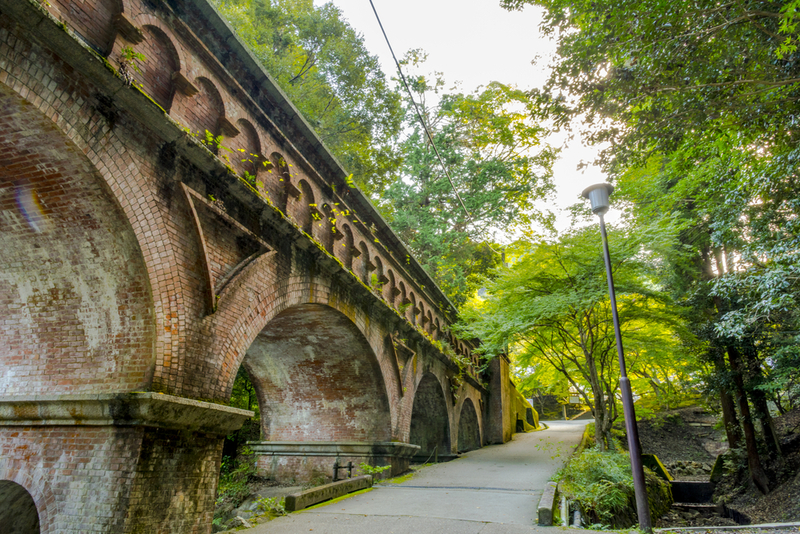 The name comes from Kitaro Nishida and Hajime Tanabe who are representative philosophers of Japan used to walk the path for meditation in addition to the path is close to Kyoto University where both of them graduated. 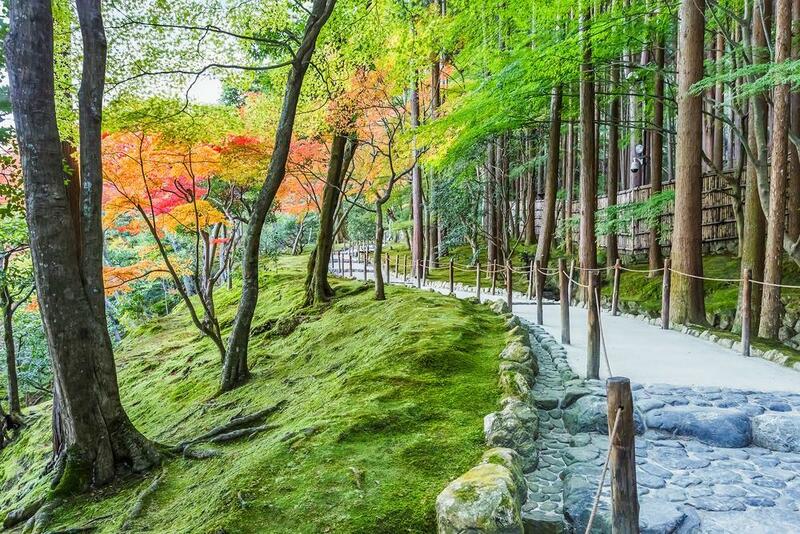 The path is selected 100 the most beautiful walking path in Japan since this walk shows us seasonally changing charms: cherry blossoms in spring, the greenery at the beginning of summer, and colour leaves in autumn. 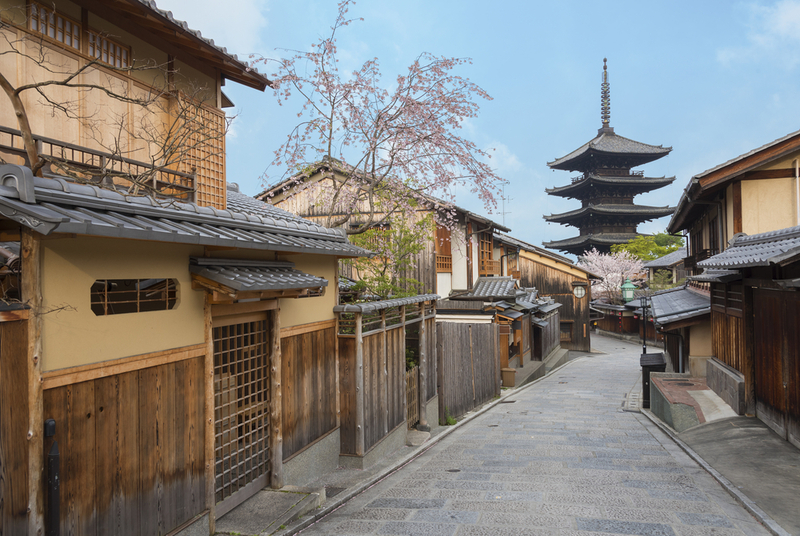 Continue on the Tetsugaku-no-michi street by bike to the Nanzenji Temple, one of the most renowned places in Higashiyama area. Nanzenji is a temple that was founded in the 13th century ranked supremacy among other zen temples like the 5 big temples of Kamakura and Kyoto. Its main portal is two layer structure called "San mon", one of Kyoto's three main portals, with a height of 22 meters, the view from its highest level is spectacular. 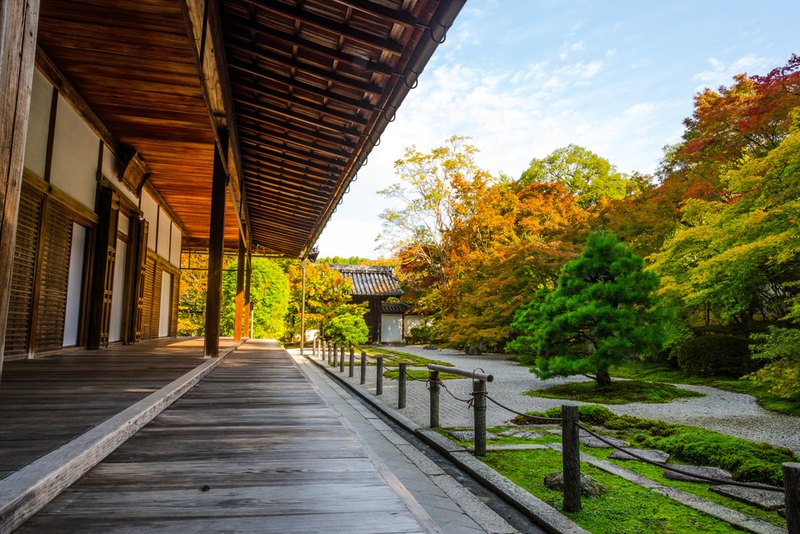 The Hojo (the abbot's quarters) is a national treasure and has been transferred from the former royal palace. 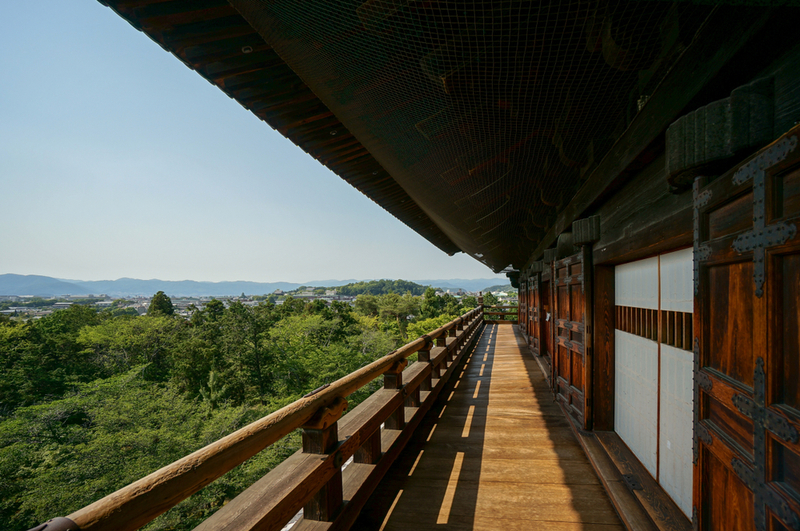 You will find a breathtaking beauty in a so-called Karesansui garden (a type of dry garden often made of simple stones) view from the edge of the eaves between the fusuma (sliding opaque screen with a handle used to redefine the space of a door in the traditional Japanese home). The one of the outstanding feature of the Nanzenji is that water from Lake Biwa passes through the grounds of the temple via canal since 19th century. Local people enjoy walking along canal surrounded by nature. A length of 92 meters of the aqueduct of Lake biwa canal was built at the end of the 19th century and the western building harmonises perfectly with the nature in the Japanese garden of the sanctuary. 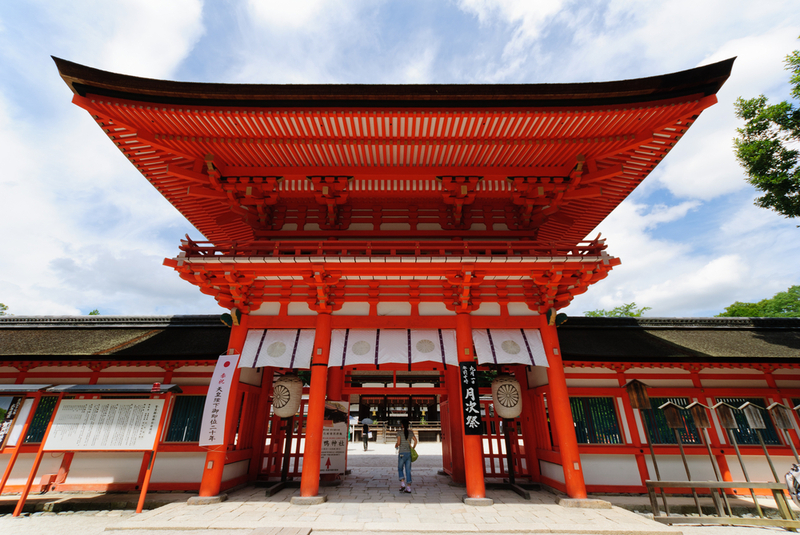 The Yasaka Shrine was named Gionsha until the beginning of the Kinsei period (1598 to 1603), the territory of the Yasaka shrine and the city near the shrine are called Gion. 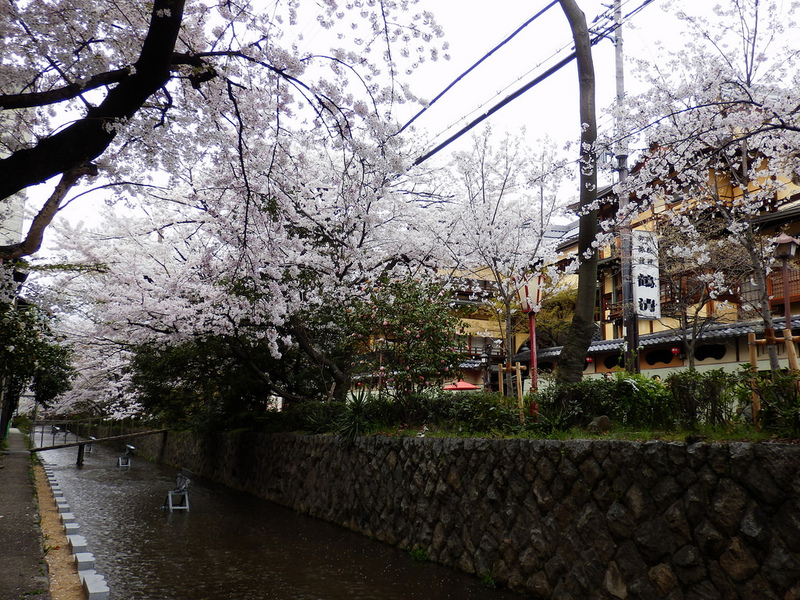 Nowadays, the area from Yasaka Shrine to the Kamogawa River is called Gion; however, there is no precise definition. Above all, the area of the northern part of Shirakawa, where the Biwa Lake canal sector and the Kamogawa River crossed is classified as the Preservation District for Groups of Historic Buildings. 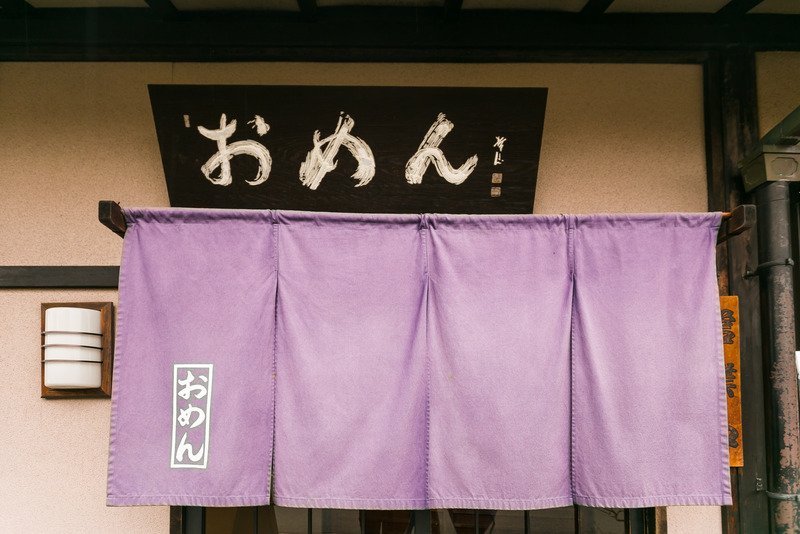 There are many Ochaya established in the Edo period, literally cafeteria but actually the place where one dines in the presence of Maiko and Geiko, in the district. From the Sanjyo Ohashi Bridge with the view of the Kamogawa River, enter the west bank of Kamogawa area. The west bank of Kamogawa is bustling and modern that contrasts with the east bank whose atmosphere is historical and traditional. 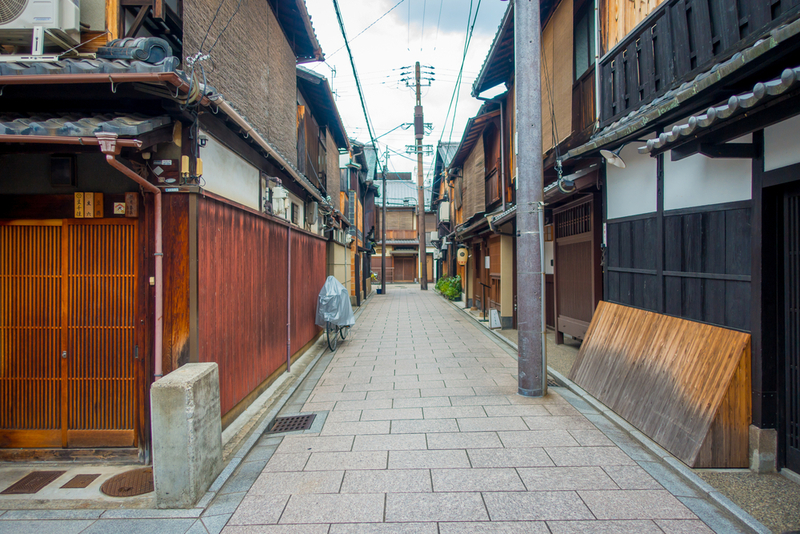 The first street parallel to the Kamogawa River is called Ponto cho Street, which like Gion, is made up of many Ochaya. The street is too narrow for vehicles to get in. The street survived the fire occurred in the nineteenth century, and retains its atmosphere of yesteryear where many lanterns lit at night to illuminate shops across the street. It is a place where you can take beautiful pictures. Again, looking at the Kamo-gawa, we will cross the Shijo Ohashi Bridge. 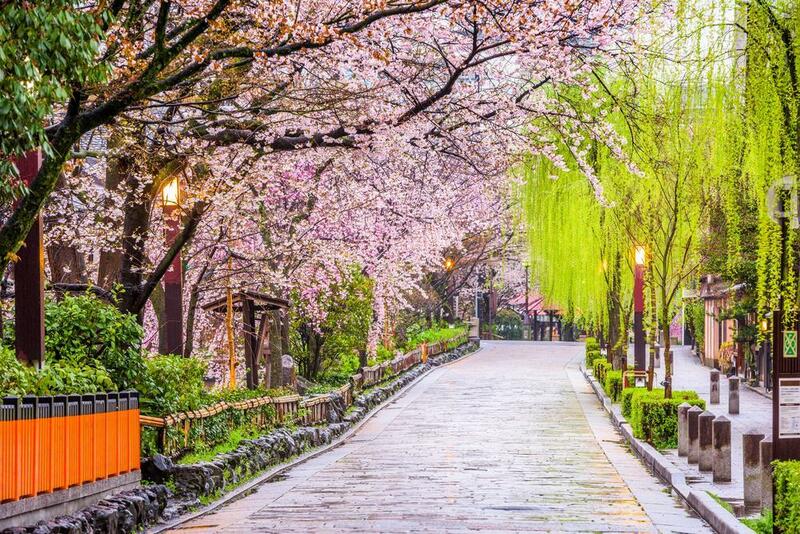 We will take a walk in the southern part of Gion and the Yasaka-jinja shrine. 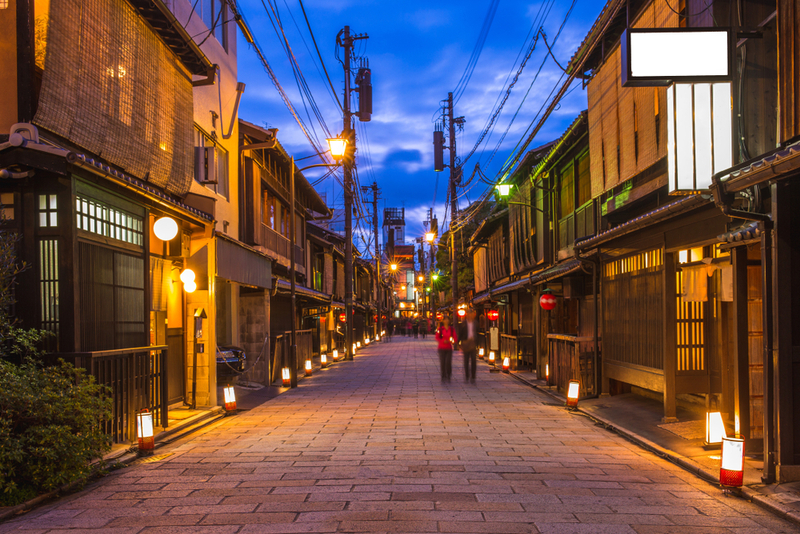 As we explained before, Gion extends from north to south of Shijo-dori from Yasaka-jinja shrine to Kamo-gawa. 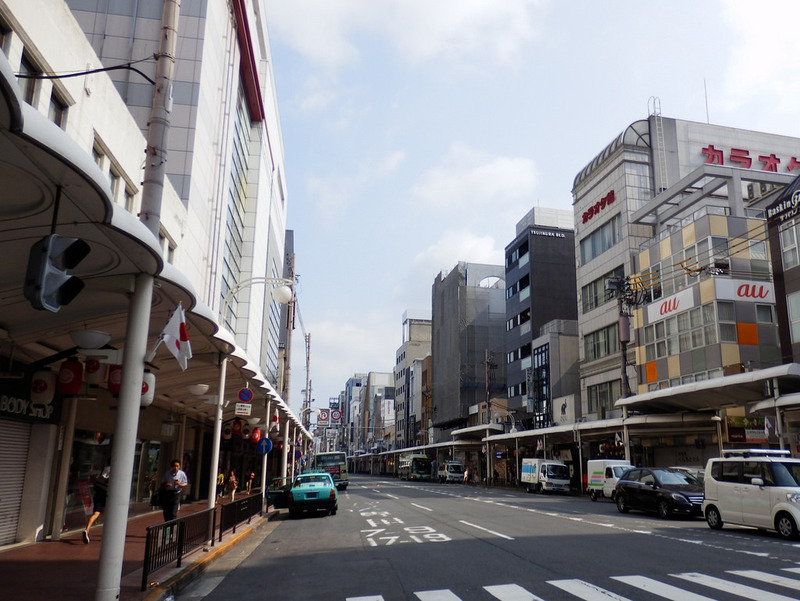 The northern part has been developed as a commercial district since Meiji period and there are many multiple-tenant buildings. On the other hand, the southern part preserves the old landscape and many efforts are made to maintain its conservation. 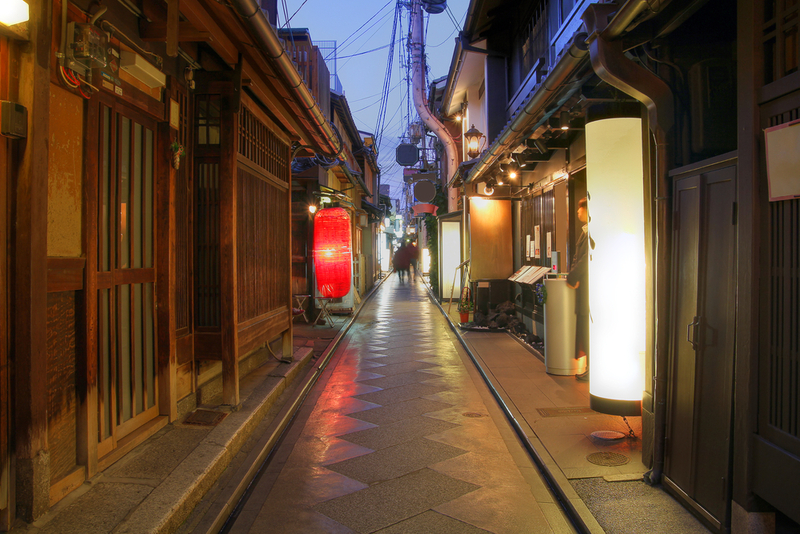 You will find exclusive traditional beauty in Kyoto: such as Ochaya, luxury restaurants, and Kabu-renjyo. The streets with the slatted doors and the late bamboo blinds give the neighborhood atmosphere a serene elegance. 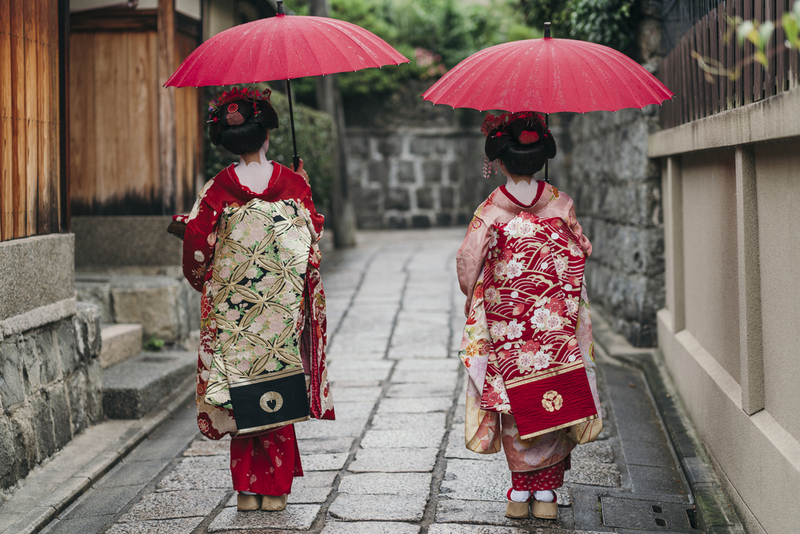 If you see the maiko and geiko during the day, it may be tourists dressed the same way; but, if it's evening, you'll have the chance to see the real maikos and geikos. 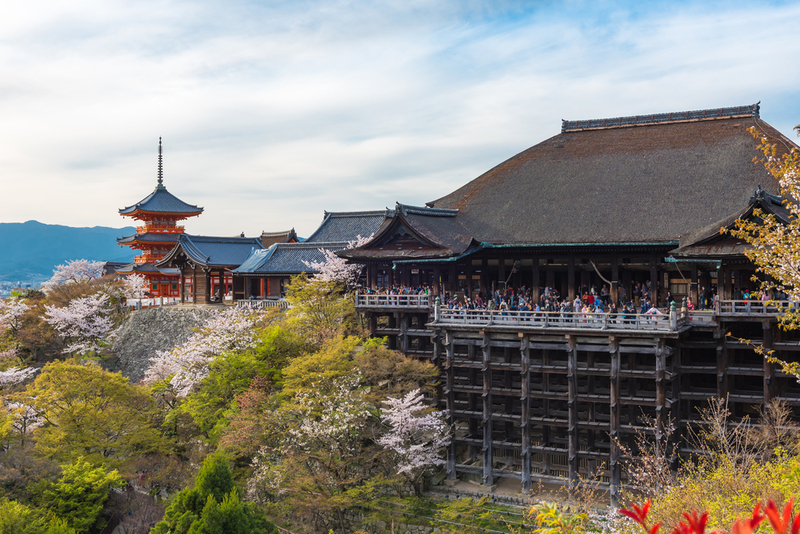 This tour ends in the Gion area, but if you want to go for a walk to the Kiyomizu-dera temple, the guide will tell you which route to take. If you go to Kyoto Station, it is possible to get there by bus. Finally, to get to the Fushimi-Inari Shrine, there is a direct train ride. Please feel free to ask your guide. 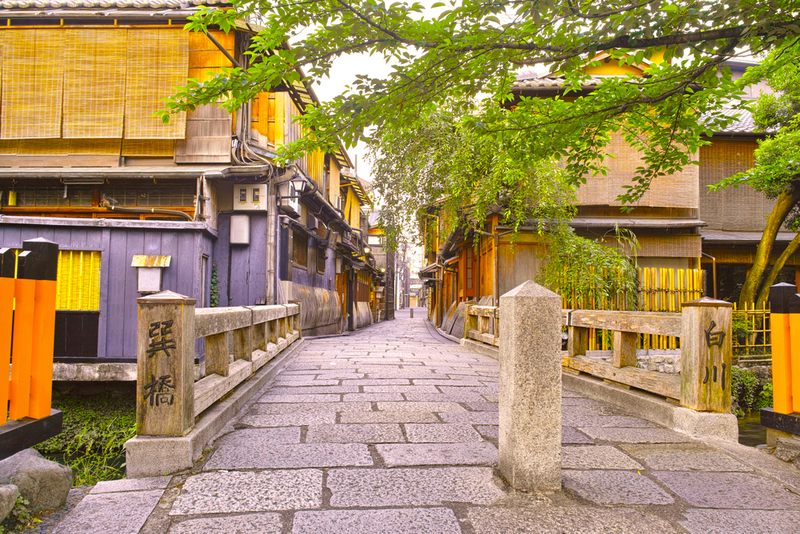 It is one of Kyoto's cultural properties and one of the most popular sites in Kyoto. The access path to the temple is a steep path physically. Since the site is forbidden to park the bike, we will park near the entrance and walk up to the temple. The main building of the temple is classified as the national heritage. 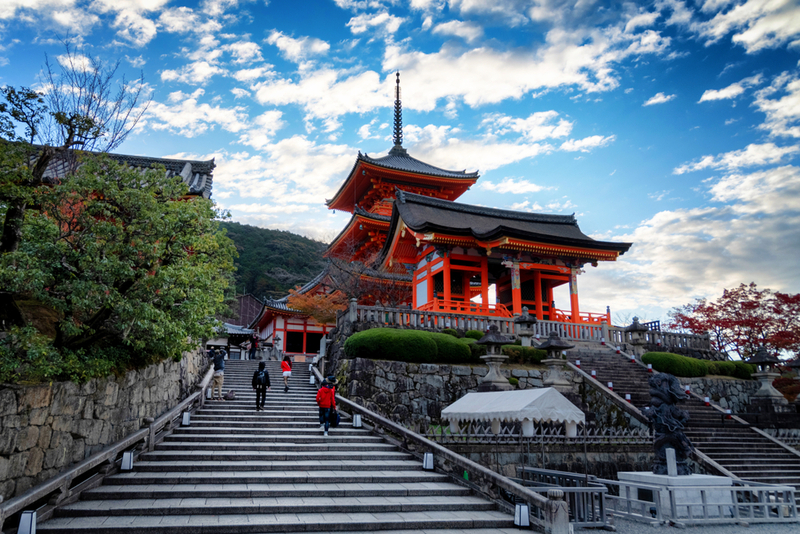 It is famous for its platform called "Kiyomizu Butai" with a height of 12 meters. This is a wooden building built without a single nail. 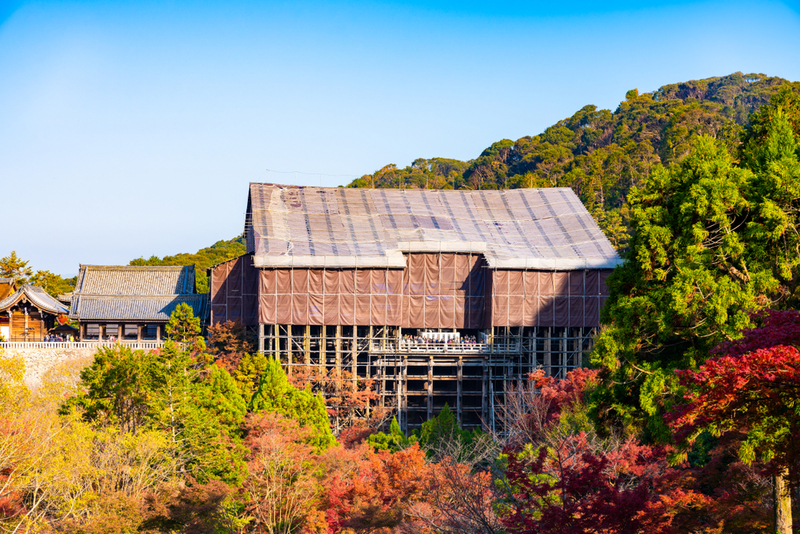 It has been renovating since 2008 and currently renovating the roof of the main building as the last stage. So the building is fully covered now. The roof area is 2,000 square meters and the repair dutifully obeys to the original construction methods, scheduled for complation in March 2020. Even though we can visit the interior of the main building and the dojo as well as the Otowa waterfall, the Nioomon gate, and the three-storey pagoda within the temple enclosure. The entrance to the Sanctuary precinct (called Sando in Japanese) is lively with souvenir shops, restaurants, and cafes. 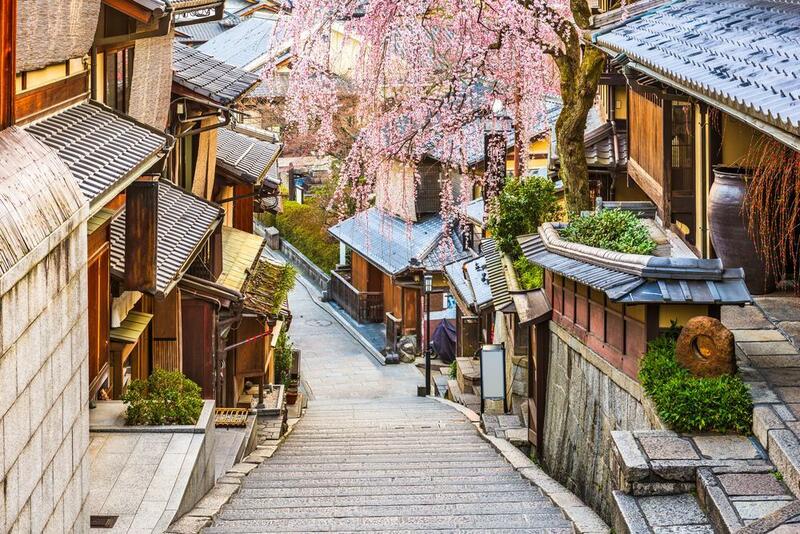 There are also the charming sloping streets of Sannenzaka and Ninenzaka, listed in the list of conservation landscapes and traditional buildings where tourists strolling the steet wearing kimono. You will also find various kinds of Japanese crafts like Kimono accessories. It's a place where you forget time. 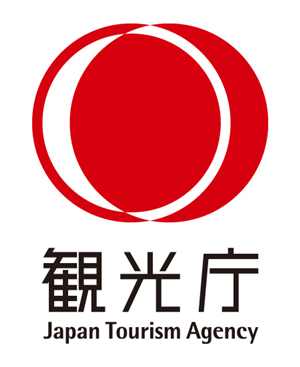 Minimum number of participants required for tour departure is one. A moderate amount of walking is involved; please wear comfortable walking shoes. Please inform us, at the time of booking, about the participation of any person with reduced mobility or suffering from any condition requiring special needs during the trip. This tour is not covered by insurance. Itinerary order is subject to change depending on traffic, weather and operation hours. In case of traffic congestion or weather or any other uncontrollable reasons that affect the tour schedule and lead to delay in time, schedule change or visit cancellation etc., the tour will not be cancelled or refunded in such cases. Please be noted in advance. Small groups, 8 people maximum. The tour can be customized in the case if there is no other participant on the day of trip. Please note that public transportation will be used during this tour and seating is not guaranteed. Please refer to “Travel information” about any useful information. Pictures are used for illustrative purpose only. Please select & click on the date below to make a reservation / inquiry. ★We can also organise a private tour with your own departure date. 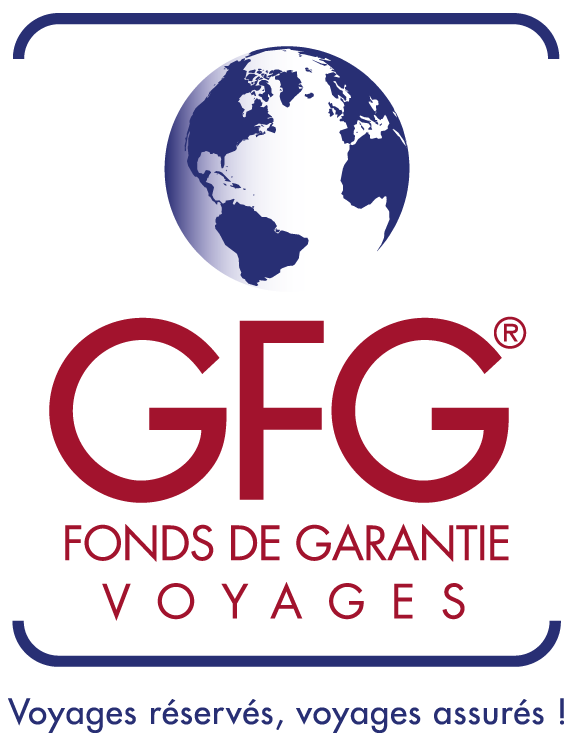 Please feel free to contact us via our contact form and let us know your desired departure date, travel duration, number of travellers and any other wishes you have.